NIRODAH, established in 2009, develops and run positive education programs within schools, sporting clubs, community groups and corporate offices. 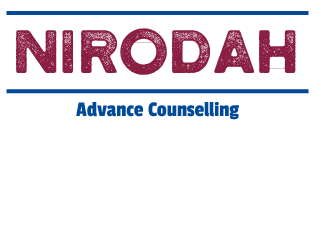 NIRODAH is regarded as a leading and innovative violence prevention company. Roxburgh Secondary College, Roxburgh Park, (2 days per week). Our Psychologists choose to work at 1 or more schools in order to fulfil required days of work wanted (One Psychologist might choose to work at Rosanna and Bundoora for example, and another may choose to have the variety of the Sunbury based primary and secondary schools). We provide the flexibility to choose the actual days worked wherever possible. These roles require a passion for working with school-aged students, and the desire to make a difference at this crucial stage of their development. The role is focussed on the provision of one-on-one counselling services utilising the Medicare Better Access program in most instances. You will also be required to work closely with the school welfare team, parents and in some cases GP’s or support welfare agencies. Specific non-counselling duties may also be negotiated and will vary from school to school. For example, opportunities to contribute to the teaching staff’s professional development. Our NIRODAH Advance program involves an extra dimension, whereby you are given the opportunity to join our head office facilitators and contribute or be trained on a variety of projects outside of school terms. Specific projects will depend on your skills, interests and opportunities at any one time. See our website www.nirodah.com for further details. NIRODAH runs a successful suite of violence prevention programs for not just students, but also young men and women, and those within the corporate sector. 2019 is a hugely exciting year for NIRODAH, with expansion opportunities for not just its programs (and markets) but also for every staff member within. Experience and knowledge of a range of counselling techniques suitable for counselling students are desirable. Willingness to provide counselling utilising the Medicare Better Access program. Peer support via our NIRODAH psychologist network with regular formal and informal interactions. Paid Supervision time for up to 12 hours and paid professional development time for up to 20 hours (both pro rata). Ongoing Administrative support including all Medicare billing, associated counselling information/forms and school associated liaison. A high level of variety within your role, including counselling students, supporting teachers/parents, being a core component of a multidisciplinary Wellbeing Hub and working with highly regarded NIRODAH staff on a variety of stimulating projects. Please send your cover letter & CV to Paul Zappa at paul@nirodah.com Please provide details of your desired locations & number of days you are seeking work.